According to the results of a study done in China by Li et. al (2016), there is no method for measuring oil potential in shale reservoirs that includes both residual oil contents in the rocks as well as hydrocarbon expulsion and migration conditions. Li and his colleagues developed soon an index for determining oil potential. If the index is greater than zero, then some of the oil has migrated to external reservoirs which means that it has poor shale oil potential. Li et. al. argue that because current methods include absorbed, as well as free hydrocarbons, they are overvaluing the shale oil and not looking at oil that can readily be used. The method developed in this paper has multiple parameters and is a more comprehensive measurement since it takes into account oil saturation, free oil content, and shale oil expulsion. Working in Biyang depression, located in the Nanxiang Basin in eastern China, these scientists performed analyses on the shale rock, using a combustion oven and measuring carbon dioxide production to calculate total organic carbon (TOC) in terms of milligrams of hydrocarbon per gram of rock, the results “represent the difference between total oil generation volume and pyrolysis free-hydrocarbon”. 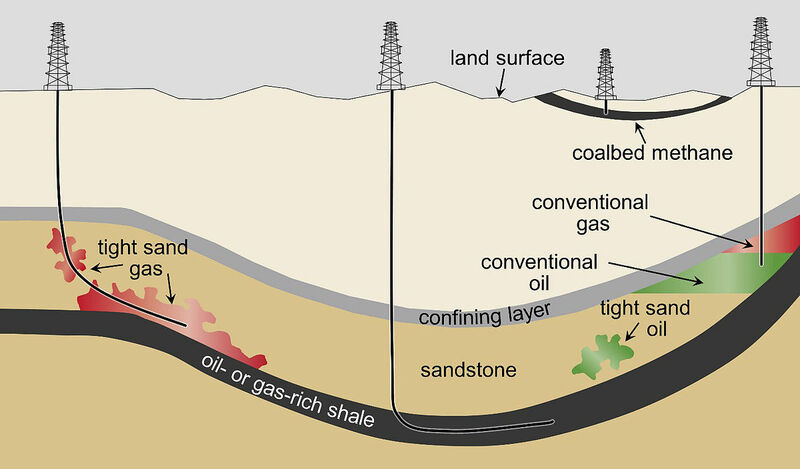 The important concept that this paper brings to light is that while shale might have a very high total organic carbon count, it could also have an equally high absorption capacity for oil, and also overall poor shale potential. Studies such as this to make measurements more accurate are helpful in determining if shale oil can be used as a reliable and valid alternative to petroleum. This entry was posted in Catherine Parsekian, Fracking, Shale Gas and tagged carbon, China, huifu Li, hydrocarbon, Jiaren Ye, Oil, Qian Lv, shale, Shouzhi Hu, Xin Huang, Xinong Xie by Emil Morhardt. Bookmark the permalink.